In Books and Featured Books Tagged In Books on Quebec, Family Saga, Historical Fiction, Novel, October 1970, Quebec Literature, and Women's Rights. In Books and Featured Books Tagged In Books on Quebec, cotton textile industry, feminism, French Canadian History, Labour History, Quebec, Quebec History, Trade Unions, and working class history. In Books Tagged In Books on Quebec, Canadian History, Eastern Townships, Local history, Nick Fonda, and Richmond. In Books Tagged In Books on Quebec, immigration, Montreal, multiculturalism, Quebec Sovereignty, and Racism. 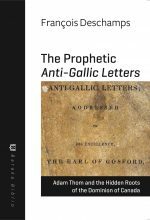 In Baraka Biblio and Books Tagged In Adam Thom, Anti-Gallic Letters, Books on Quebec, British Empire History, Canada's 150th, Canadian History, Dominion of Canada, Lower Canada, North American History, Patriote Rebellion, and Rebellion 1837. 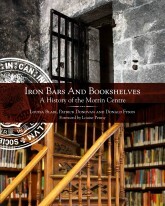 In Books Tagged In Books on Quebec, LHSQ, Literary and Historical Society of Quebec, Louise Penny, Morrin Centre, Morrin College, and Quebec City. In Books Tagged In Adventures of Radisson, Books on Quebec, Canadian History, French-Canadian Explorers, History of Quebec, Iroquois, New France, North American History, Radisson, and YA Novel. In Books Tagged In Books on Quebec, Canadian Painters, Eastern Townships, Frederick Coburn, Landscape Painters, Nick Fonda, Quebec Artists, and Richmond. In Books Tagged In Books on Quebec, Canada, Independence, Independent Quebec, Jane Jacobs, Norway, Quebec, Referendum, René Lévesque, Separatism, Sovereignty, Sweden, and Urban Studies. In Books Tagged In Books on Quebec, Historical Fiction, History, Montreal, October 1970, Paul Rose, Political Prisoners, Separatism, Trudeau, War Measures, and YA Novel.